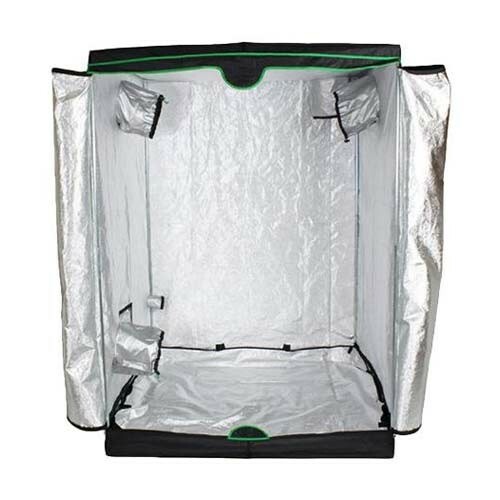 These enclosed greenhouses have a light weight and light-tight outer material with a highly reflective interior surface. Reinforced stitching in high wear areas and heavy duty zipper creating a rugged and durable grow environment. The exoskeleton consists of galvanized steel poles and unique quick connect molded plastic corners. 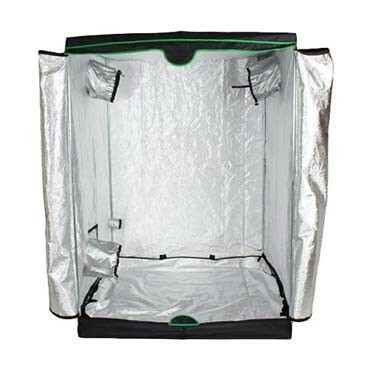 With these two features combined, the assembly of this grow tent is both quick and simple. Other features include 10" duct ports, high and low lamp/power cord ports and a Velcro tray bottom. Large enough to fit the largest ID trays on the market. Actual Size: 40.2" x 40.2" x 79"